There’s a new face on Washington Boulevard near 25th Street, and it’s already making quite an impact on the Ogden social scene. Harp and Hound, according to its Facebook page, is “Ogden’s newest bar above Ogden’s second newest bar.” When Sea Bears Ogden Fish House moved to the Union Station, it left an open space above the basement bar Funk ‘n Dive. 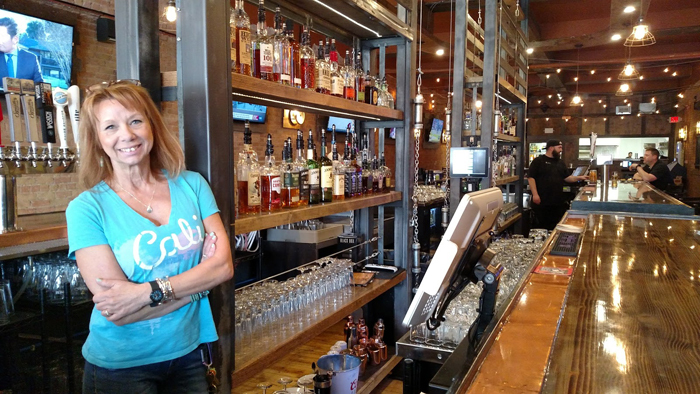 Dave Morris and Bridget Gordon, co-owners of Funk ‘n Dive, saw an opportunity to expand and build a brand new bar upstairs. Harp and Hound has been open for seven weeks now, so I met with Bridget Gordon to find out how things were going so far. 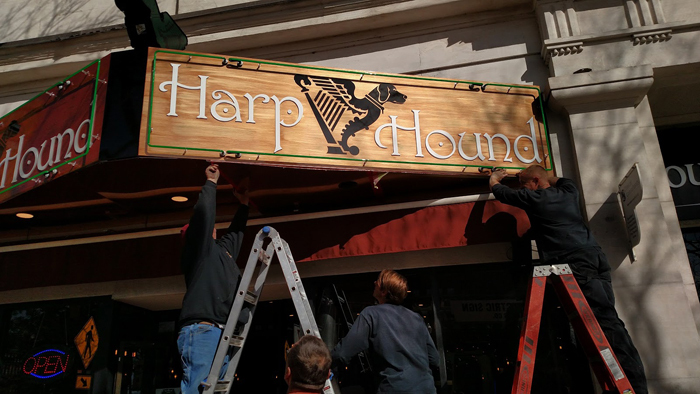 The new sign goes up at Harp and Hound on Washington Boulevard. If you make your way to the Harp and Hound, you can try one of the customers’ favorites, like the Cuban sandwich, tatchos (tater tot nachos), or blackened salmon tacos (which Gordon says will change your life). I can personally vouch for the delicious Reuben soup, with its corned beef, potatoes, and sauerkraut in a cream sauce, topped with rye croutons. I’ll be back. And if you like delicious food, a great bar and a friendly atmosphere, I’ll probably see you there. Harp and Hound is located at 2550 Washington Blvd. in Ogden.